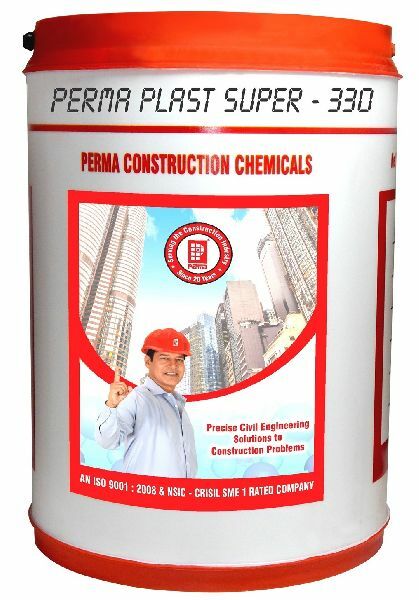 Perma Plast Super - 330 is a high range, low dosage, super plastering admixture for slump retention. It is a protect based on refined Naphthalene formal dehydeblends. To produce self-compacting flowing concrete. To produce high early strength concrete for delayed slump retention and for long over hauls, ideally suited for commercial RMC plants.